Got a hankering for tactical warfare? How about commanding an army of diverse, magical creatures and using an array of powerful spells to wreak havoc on the battlefield? That's what Epic War 4 is all about; an exciting mishmash of strategic defense and action-packed combat on—as the name implies—an epic scale. Developed by Rudy Sudarto, Epic War 4 is the latest addition to the Epic War series, which began in 2008 as a defense-oriented homage to the Bowmaster Prelude style of gameplay. It wasn't until last year's installment in the series that Sudarto revamped the format, ditching the "arrow turret" mechanic in favor more spells, units and customized "hero" progression. In Epic War 4, Sudarto continues the trend by accentuating these hero paths, adding more units, spells and campaign content. 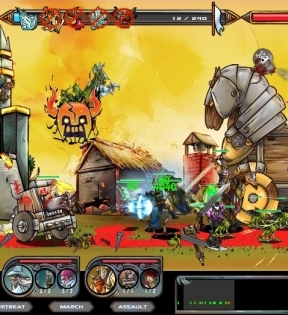 Epic War 4 features a side-scrolling battlefield, similar to some real-time strategy games like Shadez 2. The player's castle is always located on the left side of the map, opposite the enemy. From here, your objective is to push your army across the battlefield to destroy the enemy's castle. Your heroes and units spawn automatically, using a timer mechanic with diminishing returns (the more your heroes die, the longer it takes for them to respawn). Both heroes and units obey simple movement commands like "charge" and "retreat," as well as individual selection for specific unit placement. 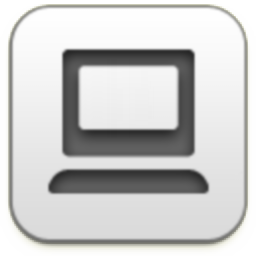 You can control just about everything via the point-and-click method, or use a series of hotkeys for more efficient commands. Scroll the camera across the battlefield with the [arrow] keys, use [A] to select all, [S] to select only heroes and [D] to select only units. Specific units can be selected using [Q] through [O] on the keyboard, and  to  allows quick access to your spells. To confirm all hero, unit and spell commands, just hit the [spacebar]. Each hero is able to "equip" two units, allowing them to fight in battle. 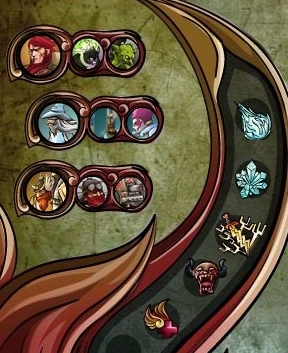 Players begin with one hero and one unit, although each "unit" actually consists of up to a dozen creatures, depending on the unit and its upgrade status. (A unit can be anything from a pack of Goblin Warriors to a single Siege Tank.) Spend gold in the "Upgrade" menu to unlock new heroes, units and spells using the familiar RPG-style progression trees. In addition, each hero, unit and spell can be upgraded up to five times to increase its power (health points, attack power, unit population size and spell power). A defining feature of Epic War 4 is the diversity of heroes and units; they all have varying strengths and weaknesses, as well as special abilities. For example, the Succubus unit is quite fragile, but unleashes a devastating ranged AoE attack. Other units, like Pixies, have defensive abilities that can heal fellow units. Because of this "rock-paper-scissors" combat mechanic, players will benefit from equipping different units between battles, depending on the enemy's army and strategy. Players also have an assortment of spells that play an important role in influencing the tide of battle; offensive spells like "Thunderbolt" and "Ice Blast" inflict damage and scatter enemy units, while defensive abilities like "Healing" and "Shield" offer precious reprieves from overwhelming attack. There's no "cooldown" period for spells, which are cast using a finite pool of regenerating mana. Remember that similar to heroes and units, spells need to be equipped in the "Arrange" menu after they're purchased. Once equipped, each spell icon is displayed at the top of the screen, below the mana bar. Finally, spells are also similar to units in the sense that you can only equip six of them; once you've unlocked more than that, you'll have to choose the right combination for the battle. Analysis: Like its predecessor, Epic War 4 emphasizes large-scale, battlefield combat rather than turret/castle defense. You'll still have to protect your base from hordes of enemy soldiers, of course—but the real gameplay is all about massive ground clashes, as opposed to the clichéd defense mechanic of picking off targets from a distance. 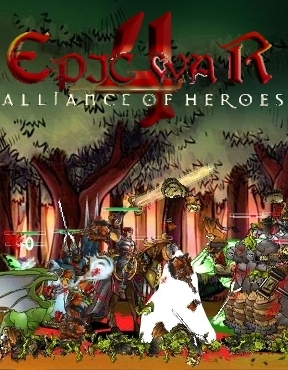 Epic War 4 features the heated action of real-time strategy without burdening the player with resource management or frivolous, tiered production rules. Automatic spawning means the only thing you need to worry about is when to attack, when to retreat and when to cast spells. Initially, it might seem a little too easy, as if you can just send your entire army to the enemy's castle, sit back and wait for victory. Indeed, in early levels (set on regular difficulty), that might sometimes be possible. But after the first few stages—especially if you choose "Hard" or "Epic" mode—you'll be in for quite a challenge. To overcome the enemy's army, you'll have to learn when to pull your forces back, the optimal ranking order of your heroes and units, and when to fire off specific spells for maximum effect. One of the worst things that can happen is allowing your heroes to fall; the production of new units equipped to that hero will grind to a halt until it respawns, leaving you vulnerable to an overwhelming enemy rampage. For all its merit as a fun and engaging strategic defense game, Epic War 4 isn't without its flaws. The controls—as simple as they are—feel "sticky" at times, especially when using the point-and-click method. Even if you play it safe by using [spacebar] to confirm all movement orders and actions, there are some areas of the map where heroes and units sometimes won't respond. 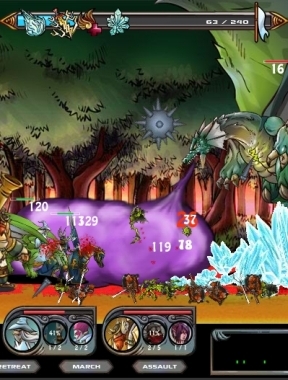 The developer neglected to include a handful of simple features like quicker scrolling, auto-saving, the option to speed up gameplay and an indicator for spell duration. Graphically-speaking, Epic War 4 is somewhat demanding because of the sheer number of units and effects on-screen at once. As a result, the character and spell animations are rendered at what appears to be a shoddy, low frame rate—although it's probably the only thing keeping the game from slowing to a crawl on older systems. Despite these issues, Epic War 4 is a blast to play if you're a fan of the strategy, tactical warfare or defense genres. The new-and-improved upgrade paths provide a satisfying layer of character progression, motivating the pursuit of better units and spells (and eventually, one of several massive "Titans" that demolish everything on the battlefield). The aforementioned "Hard" and "Epic" difficulty modes extend the 12 campaign levels, and four additional "Challenge" stages provide unique scenarios, like the comical "Goblin Madness," with dozens of the little buggers falling from the sky. If you're in the mood for a battlefield warfare game that doesn't involve the oh-so-popular "turret" mechanic, Epic War 4 offers a refreshing, sword-clashing, shield-bashing change of pace. There is one additional playable hero available exclusively at Kongregate. Epic War 4 Walkthrough now available! There are 4 "sections" of the upgrade tree, and I'm sorting them by the starting hero in each tree. The 4th tree can be unlocked when any of the other heroes are upgraded to level 3. Each unit/spell/ability is going to have its pre-req in parentheses. Abilities are permanent bonuses that don't have to be activated. You can have 3 heroes, 6 units, and 6 spells available in any mission. Comet Shot (none): Small AOE damage. Spell. Gate (Phantom Ghost): +500 castle hp/level. Ability. Rage (Mighty Guardian): Attack power boost. Spell. Thunderbolt (Gate): Medium AOE damage. Spell. Popo the Dwarf (none): Fires a spiked ball that explodes, each spike does high damage. Hero. Orangutan (Popo): Heavy ranged unit. Throws bouncy rocks. Rain of Arrows (Orangutan): Medium AOE spell. Berserk (Engineers): Boosts crit chance. Spell. Ka-Boom (Berserk): Self-destructing melee unit. Epic Tank (Ka-Boom): Tank with exploding shot. Iron Wall (Epic Tank): +1000 castle hp/level. Permanent. Healing (Simon): AOE Heal. Spell. Pixie (Healing): Healing unit. Does no damage. Guild (Pixie): +20% money gain per level. Permanent. Ice Blast (Succubus): Medium AOE spell. Sky Dragon (Ice Blast): Titan, large AOE breath attack. Penetrates all types of damage resistance. Altar (Sylph): +40 mana per level. This also increases mana generation. Shield (Altar): Temporary invulnerability. Spell. Tower (Cassandra): Spell, cast once, fires continuous arrows like EW1 or 2 tower. Untamed Beast (Tower): Heavy melee unit. Yeti in EW3. Phoenix Strike (Were-Tiger): Line attack spell. Forest Hunter (Cassandra): Centaur archers from EW3. TimeStop (Forest Hunter): Stops enemy movement and attack temporarily. Spell. Celestial Angel (Valkyrie): Titan. Has an attack I can't quite describe. Fortress (Sniper): +1500 castle hp/level. Permanent. Meteor Blast (Fortress): Large AOE attack. Penetrates all types of damage resistance. Hmm, they're flailing goblins everywhere. Whatever, they're still goblins, and your troops will take care of them easily... wait, are those red goblins? The buggers hit pretty hard, huh? Whatever, they're not invincible or anything. Oh, there comes a black one. As you've probably seen, the black one hits EXTREMELY hard, and is completely impervious to just about all of your attacks. Now how do you get past this guy? Bringing the sky titan along will help, as his breath hits a wide range and has multiple hits. This'll help keep the goblin back, at least. Another idea is to use units that rush forward when attacking. A were-tiger does a pretty nice job of rushing past and is pretty capable of smashing the fodder goblins too. And don't forget to bring along Popo! I've found that stray spikes from his exploding ball damage the enemy castle anyway. With all this in mind, it's just a matter of blowing back the black goblin all the time, and this battle is won. Well, looks pretty basic... goblins, minotaurs, nothing unusual, let's just OMG WHAT'S THAT FREAKING GIANT BOMB DOING THERE! Better don't let it get to the castle! Problem is, unless you've really grinded a lot, your regular troops won't do much. What now? Popo the Epic Dwarf is the key, again. His spiked balls can sometimes land right in the middle of the bomb-car, causing massive damage. The car is even slower than Popo, so adjust his position when needed. Apply berserking and the car will soon explode, completely wiping out your troops but saving your castle. Now you can kill the enemy castle. Finally! What, there's an enemy on the board already?... whoa, that's a big bugger. Better kill it to make sure OMG BIG SWORD!!! Bring the fire titan lord and a shield ability. Maximized if possible. By the time the lord shows up, you should have enough mana for two shield-inations, which is long enough for the firelord to reach Baal. Then he starts wailing away at him. Just let him kill the guy, it takes a while. Check on him now and then and apply berserk when you do. When he falls, your fire titan will quickly have annihilated the enemy castle. Now this is truly impossible. An angel? With an all-eviscerating charge attack? Are you guys kidding me? I didn't yet complete this challenge, but it's a good idea to throw heap after heap after heap of goblins at it. It really slow the boss down. Using shield to get heavier troops into its vicinity is also a plus. I can't really say much more. Good luck! A much easier way to finish the first three challenges on normal, being that the second can easily be beat on Epic for lots of cash. OK, so the first thing you will notice is the huge amount of goblins appearing on screen. Don't be scared, any heroes can easily deal with that until you are done. I myself prefer not to use any Titans on this challenge. The key is to have the Meteor Blast skill. The black goblin that will eventually appear is impervious to any and all elemental damage, including melee. However, the Meteor Blast deals non-elemental damage(as do the Sky Dragon and Angel, but they take up space and are far too slow to do anything useful. )If you have Altar maxed up, the goblin should appear at about 300 mana, enough to send 2 meteor blasts at him, which is sure to kill it (wait until it stops moving for a sure hit). Now just lead an assault and leave either Dwarves or Goblins close to your castle to stop the flying ones from reaching your castle and ruining your score. This is probably the easiest challenge possible. Be sure to have Shield and Timestop spells ready. Shield at level 1, otherwise Hard and Epic won't work as fast. I suggest having the fastest team you can, Goblins, Dwarves, Phantom Ghosts and Were-Tigers prefferably. With all units you use maxed, you can beat Epic with Popo, Kara, Phantom Ghosts and Were-Tigers, though it takes more time and makes grinding more painful. Now, back on topic, assault as soon as your heroes finish loading. This should give you a castle at lower than half it's health on normal before the bomb comes up. Wait until it gets close to Popo's nail bomb, since if it hits it in the middle it can be killed very fast. use timestop at that time. When you notice it has no health, don't hesitate, or you might have to wait a lot: use shield. now just wait a bit while your creatues finish hacking off at the castle, and you win! This was the hardest of the 3. Lord of Fire is a must, Goblins help and avoid ranged units. Diablos are useful, but not for very long, and much more unreliable than Lord of Fire. Be sure to have Shield, at level 1 preferably. Wait on the spot until your Lord of Fire finishes loading, then select goblins. march them, and most will get past his sword before he hits. some will keep attacking and get behind him, and he will turn to strike at those. when he turns, march your Lord of Fire. When he turns again, use shield immediatly. use shield when it has 2 second remaining until yourd Lord of Fire reaches the spot. So as not to be just 'stay AFK and wait' now, wait until your mana is maxed and use shield and send out a full assault(stop the goblins first if you didn't already.). keep the shield on until they reach, and it will progress much faster, considering that many will stand at his front, keeping him busy, while others get past, decimate the army after him and start hacking the castle. now you can go AFK without much problem. The main issue I have with this game (which is a otherwise a large improvement over its predecessor) is that you have no idea what the upgrade tree looks like because all options are blacked out until you purchase the adjacent unit/ability. That defeats the entire purpose of a talent tree, which is to allow you to build a customizable army/character and optimize within the system. How can I optimize if I don't know what I am spending gold on?! Agreed, steve. I ended up grinding for a little while to build up gold and then doing save > purchase all the way down a line to see what's there > load > repeat on a different development line. Why link to the game on the Jig page if you can only get all the content by playing on Kongregate? Maybe you should link to Kong instead. Agreed, prob better to link to Kongregate. maxing the shield spell is pretty much essential for beating the later levels. In lvl 13 there appears a goblin that seems to be resistible against EVERYTHING and therefore can't be killed... any ideas about that? As a fan of the first games I was really disappointed by this. The levels can be beaten by waiting, ordering the troops to attack as soon as the enemy enters the screen and waiting. By grinding each level a couple of times it's easy to progress. I got through the first ten levels like this, by switching to another tab and then coming back to the game after the music announced that I'd beaten another level. I fail to see where the strategy element comes in, and if the later levels are more of a challenge I'm afraid I'll never find out since the game didn't hold my attention long enough. Rhada: Try using the Meteor Blast spell. on the final level with the boss the best strategy is to take the 2 melee hero's and titans along with other fast meleeers. for when the titans get in range of hsi attack use invincible and time stop till they are right ontop of him then they cant get 1 hitted by his sword. The urangotangos will always be causing damage to the fortress from away while the invincible creature only attacks the units that come near. Dont fight the angel. Rush to castle with shield skill with fast groups. Destroy castle full wave after full wave. Not hard just takes time. To finish the last level, golden angel, do this. Units: Use goblins, Dwarf Engineers, sky titan and fire titan as units, you can have any heroes you like. How to beat it: The goblins and dwarf engineers will slow the boss down, when your titans spawn make them move towards the castle, when they are just out of range of the angel use TimeStop, when its almost out use it again. This should leave you with both titans attacking the castle and only sometimes the angel will face to attack the titans and all other units that got to the castle, and if it does attack your titans use shield. This level should be completed in 3-5 minutes. Easiest level EVER. Basically, no matter which level you're on, sit your units in front of your base until you have a complete army, with full mana (400). Then advance all your units towards the enemy base, and when threatened (e.g. by Baal's big sword, or the dark goblin, etc. ), shield up! Then keep advancing toward the enemy base, and keep refreshing the shield (when the timer reaches 2 sec). Ignore any enemy units (including the big bosses) and go straight for the enemy base. Since you've chosen mainly small, fast melee units, if you keep pressing forward, many of your units will pass through the big bosses and will eventually get through to the base. With 400 mana, you can effectively keep the shield up continuously until the base is destroyed! Goblin madness: I like having the Meteor Blast spell available here to destroy the dark goblin(s) just before my army reaches the enemy base. This ensures my units reach the base quickly without getting held up. Big Bang: This level is actually quite easy, and you don't really need to keep the shield up all the time. Instead, here I like using the Berserk-Rage combo to destroy the big bomb rapidly (with both powerups all your units do 4x damage!). Just remember to shield up when the bomb is nearly dead! Baal: My tactic works great on this level. However, if you really want to kill Baal himself before destroying his base, you will need to choose a different combination of units, since on Epic mode Baal absorbs melee attacks! (at least he does in the latest update). Try using Dwarves, Hunters, Snipers, Valkyries, Guardians and Succubi (or Celestial Angel/Sky Dragon if you have it). Final level: My tactic works fine on Normal and Hard mode, since the bosses don't advance straight to your base, but on Epic mode the giant yeti starts walking to your base right from the start, so you need to be quick! Instead of waiting until you have a full army, you need to just charge right from the beginning, using the shield whenever you get the chance. Your units will be safe when directly under the yeti. It takes some time, but eventually you will destroy their base! Don't even try to destroy the yeti itself, it would take far too much time! I usually don't comment, but the answers here are pretty inadequate. Goblin madness is easy, you just need meteor strike. At level 2 or 3 it kills the black goblin in one hit. You still have to grind, because this is a slow level with all the goblins flying around, but meteor strike takes out the black goblin. Valks + snow beasts are the best for this level, with the melee hero. You charge up front with them, they're all fast enough to get to the very front of the level, and you meteor any black goblins that show up. Use shield spell, too, if there are a lot of reds and you don't have enough for meteor. I have beaten every level but the last on Epic. I have no idea how to stop the giant snow monster guy and am soliciting advice. Baal is easy, you just take titans, shield them until they get really close to him, and they kill him from there. On Epic it is especially hard because he heals from melee damage, so you can only use the two non-elemental titans, and the dark angel can't get close enough to work. So basically Sky Titan has to do it alone. Get him close enough and use berzerk, it takes a while but works. Bombs are easy, on every level, with time stop. On Epic there are about 7 of them, and they never get more than halfway through the level so long as you are casting time stop. Don't forget to have enough for a shield spell when they blow up, to save time. This game is remarkably easy, except I am incapable of beating the final level on Epic. Please help. Simon the Magician, although it can be done with archer hero too. I've done it without this group above, but Mere-Tigers and Phantom Ghosts are by far the most important, because they move fast enough to get where you need them. As soon as battle begins, hit assault as fast as possible. Wait for their second untamed beast, wait about 5 seconds, cast shield. Spam shield for remainder of game. Castle will fall. You cannot kill the final boss, so don't bother trying. Just stick to the castle. If you get there fast enough, you have a group of guys that are underneath him and he can't hit you. While spamming shield, enough mere-cats and phantom warriors and even some of your own untamed beasts will get through, along with (hopefully) some valks. I used spirits and beat the level too.. Viegraf the Red does a lot of damage, too. I used Viegraf, Kara and Cassandra, heroes need to be fast. As units, dwarves, goblins, phantom ghosts, were-tigers, mad bulls and a lord of fire. Spells, time stop, shield, everything else is useless, you won't have mana to use them. Needless to say, everything need to be maxed. As soon as heroes spawn, assault. A few seconds after their second creature spawns, use time stop, as the giant yeti will spawn soon. Hit as much as you can, 2 seconds before the end of time stop use shield. Have all the creatures you can hit castle until around 8 secs of shield are left, then retreat. Send goblins forward, however, to slow boss. This will give you some time to accumulate mana. When yeti comes near your castle, use time stop and rush forward with everything, you should have titan by now. Some of your units will go past yeti and attack castle, but most will just hit him. Use shield AS SOON as you have 80 mana, or 2 seconds before previous shield expires, whichever comes first. You either destroy castle or, with your titan, destroy yeti. I did it 3 times, i killed yeti twice and castle once. i personally love the challenges of this game. Just an remark to lvl 13, it would be useful for you to max your altar,sheild, time stop and Meteor blast before playing the Epic goblin challenge. Let your troops stay and fight just before the other side castle. About the same time your mana fully charged the 2nd black 'invincible' goblin should be appeared. Activate the Meteor on the black ones. Click assault. Your Viegraf and some fast units will soon attacking their castle. Cast sheild to make sure they don't die. 20 secs later cast Time Stop. Your main shud then be arrived. There shud be enough mana for another time stop and shield. Free to use either one but save at least 90 mana. Once the 3rd black goblin appears cast Time Stop. Keep on the attack if you are fast enough to take down their castle before the spell expire, else fall back your troops a bit and wait for another assualt when you have your mana fully charged. i tried a couple of methods and found this to be the safest way to have a victory on epic level. Not to mention the gold you receive at the end of it. the last level is very easy. All you need is Altar maxed up and shield level one. Simply asault and shield youre troops. Berserker is good also. If you want better score and wanna kill the angel I saw Popo damaging him so I guess hes not imune to explode. See it's wonderful there's finally a walk through for this game. Although UN-fortunately the goblin madness level part is a lie. The black goblin does NOT take damage from the meteor spell. So basically your back to square one again. Nor does the rain of arrows and the obvious elements of ice shot and the thunderbolt. So I have yet too find a way to beat that level. Thanks anyways though. Use the Sky Dragon, Lord of Fire and Celstial Angel. Use goblins and other high pop low spawn time units to keep the angel where it is. Shield your titans, your angel will keep the other angel busy, it will neither injure the angel or get injured, while the other titans attack the enemy castle. For 15, you can just set the arrow tower so it fires on Baal. Then have everyone fall back, wait a while, then you win. Tyrant Lord Baal can easily be defeated before even killing his fortress. Any units will do, as long as they're not mass units, such as goblins. You can still use them, but to a lesser extent. Amass 400 mana, use a Shield spell to get to Baal, then start using Time Stop to start damaging him. Your heroes (the fast mounted ones, Red, Queen, and Slayer) and pixies will move past him to the fortress, healing the heroes while they assault it. But the upside is that Baal will most likely be killed before the fortress, depending on the units you used. Time Stop Baal until you run out of mana and simply fall back and wait a minute to recover 400 mana again, then repeat. The Tyrant Lord should fall after your first mana replenish, assuming you timed your moves out well enough. but any clue to beat big giant Untamed Beast in epic stage 15? You mean the big white beast? Just attack him unitl he dies. just march your angel in after the boss angel. my angel took no damage against the boss attacks, its slow but works just fine. First thing is dont attack the beast go for the castle if you do this youll win fast. Heres Things youll Need:Magic:Shield,Timestop,and full mana. So far, this is the fastest way I've found to grind for money at the end game. This will be very detailed and precise. Units: Dwarf Eng, Orang Utan, Weretiger, Mad Bull, Goblin, and Phantom Ghost. Full Mana bar, Full Stop Time, Full Shield. Send your heroes out "Assault" as soon as they are built (around 20 on your mana bar). The Big Bang will come out at 150 mana but don't do anything until around 170. At 170 mana; freeze time. When your Freeze Time Counter reaches 2 or when the bomb is about to blow, cast shield. If you are unable to destroy the castle with the first casting of shield, it should be charged up again right around when your last shield will be down to 2. Cast then if necessary. This all takes about 2:30 realtime to finish if your computer lags some like mine. Use Valkyries instead of Dwarf Engineers for a slightly faster mission time. As someone rightly pointed out, you can attack the golden angel with your own Celestial Angel if you time it correctly; during a portion of an Angel's attack, it is invincible, so you can hit the Celestial angel and take no damage. Use the time-stop to re-time it if it's wrong. Alternatively, you can rush your titans past it to kill the base. Use time-stop at the right time (so it stops time while the Angel attacks) to get past the Angel, and have your titans attack the base. They will likely die, but you can rinse and repeat as necessary. Final level in epic mode is easy to defeat.Do as said above make sure that you have enough of shield spell left,don't try to kill the yeti charge toward the enemy castle and make sure to keep the yeti far from your castle. EASY WAY TO BEAT BAAL: Get Celestial Angel. Hold all other units back except Popo. Send Celestial Angel and Popo to attack Baal. Your angel and dwarf will dish out large amounts of damage. Without being attacked After a while Baal will attack but not after he has lost a huge amounts of health. I don't know if it's a glitch or what have you. But it works. It did for me. No spells. Just straight up celestial angel. Feel free to use the arrow spell to help. *Note don't use any other people because when you send them Baal attacks that direction and the Celestial Angel. okay Ive just beaten all the challenges. for baal the sword dude:use shield and max out mp. then mob attack him. dont worry much about other troops, baal is like 95% of the challenge. for the last one with the cheap angel:YOU MUST MAX OUT SHIELD. dont even bother with attacking the angel it resists litterally everything. get the fire titan because it just passes the angel after a few attacks. wait until ur mp is 400, then use a crap troop to check angel's rng. then assault. when the angel is about to attack, use shield. the shield works for two attacks, then shield again. because you maxed out mp, you can constantly shield for like 8-10 attacks. by then ur fire titan should be able to finish off the tower. the reason why i dont use veigraff to attack is because he is too fast and triggers the attacks too soon. The key is to attack early, that way you have more room for error. I suggest assaulting when your mana is at 130-140 allowing a second shield spell to be cast. Your melee units should make it between the beast's legs rather easily with the shield spell. They are safe there, but when your Lord of Fire comes in you must use another couple shield spells to bring him in. Once units are in keep using the shield spell to keep bombers from knocking them out as easy. Good luck. PS. I'm about to try using the Great Diablos and Lord of Fire. Maybe it will work better because the Angel worked well but got killed without a shield spell. what the epic units are, what they are weak against (or in the final level, what can actually hit it) and stuff like that. Easiest way to make money & easiest way to win the goblin level: Get that flying dragon, pixies, and *not* popo; and whatever other units you want.. Make your heroes retreat to the back corner so they stay safe. Have everything else march forward. The goblins will not damage the flying dragon as fast as your pixies heal it. Then walk away from your computer for a few hours or overnight. When you return, you'll see that you killed his castle and got tons of money for all your kills. I never had patience to watch it the whole way to see exactly how it works, tho. This gives you enough money to buy lots of upgrades; and if you ever run short of cash, do this again. Yeah, it takes a long time; but it doesn't have to take *your* time, just computer time while you play something else. Don't use popo because he can see so far he keeps walking forward and getting himself killed, slowing down your other respawns that help you get money killing goblins. Even if you're "unlucky" and the black goblin touches your green dragon killing it, your dragon will respawn and you'll end up with twice the gold. For the boss with the huge sword; either shoot him from out of his range with succubi and sylphs; or use shield to sneak all your valkyries under his feet and keep shielding until it killed him. .. arrows just bounce off the "epic tank" and the walking dragon titan, so just walk your guys up behind one or both of those. get all the fastest units you can and charge his castle right away. Cast shield, the damage bonus and the critical bonus; and refresh the shield, you'll kill the castle. It's a neat game because there are quite a few very different ways to win most levels -- either pull off a strong quick rush; or camp and build up a massive army. Which is best? Except for the last Yeti and the huge bombs, it seems that with the right units, both approaches work on every level. Hello I was wondering how to release the rest of the armies! hi guys. im currently at lvl 10 here,trying to grind up some money for the other lvls. which lvl so far(for me) is best to grind, and how? i'd appreciate if some1 answered. Keep all of your units back, so they don't go out and attack Baal. Then, save up your mana for a tower, aim it at Baal, wait a couple hours, and presto: Baal will be dead, just kill the castle. I was able to beat the last level my first try I just stayed and saved up my freeze time spell and my guys got past her and destroyed the castle. Easy as pie. Now what I can beat is the hard mode. hi, could anyone help me out...i dont have any spell on mana bar although i have unlock the spell. The last level is not as hard as you think. If you want to beat it quickly just get your army as close as possible, stock up on mana with the shield spell and use that, then attack. Your men walk past the angel and attack the castle, just need maxed mana. does anyone know how to beat the goblin madness level on epic? what are the lvl 5 stats for lord of fire and great diablos? to beat challenge 4 on hard is to use angel, succubus, sylph, shield, time stop for the cavalry, and bezerk. wait for full mana and then send those units to attack. the angel will do the most damage to the black lord of fire. dont use arrows or melee units because the arrows will just bounce off and melee will try to attack and get killed from the titans attack and the titan wont stop until all unit not sheilded by the castle and go back to his original place. this takes forever but is worth it because you get 100,000 money off the titan while the cavaleirs give 1,000 ech and there's 10 to 20 cavaliers at a time. all items MUST be lvl 5 to do maximum damage to them. Also dont use tower as the arrows will bounce off. use the lvl 5 meteor. what's the total cost to upgrade everything to lvl 5? Stay at the base until all units are ready and you have max mana. The enemy angel will just stay at a spot and won't attack the castle, so you have plenty of time. Assault your units, and when they're almost in range of the angel, shield. Your units will attack the angel for a while, then run to the enemy castle. Keep reusing shield when the timer's at 2 seconds. When you reach the castle, use rage to speed up the process. When you use your last shield, fall back to your castle. The slower units (goblins, dwarves, phantom ghosts) might die, but they come back fast and your heroes will survive. Then rinse and repeat until the base is dead. You can't use the tower on Baal. Thanks for wasting thirty minutes of my time. I highly recommend the freeze time spell. Maxed out it lasts for about 23 seconds (but takes about 2 seconds to cast, so cast every 21 seconds if you are continually casting it). All of the challenges become easy with the titans and the time freeze spell. The trick I found to make cash is level XIII using the flying dragon titan and whatever else you want. It takes forever because goblins are constantly coming but the flying dragon is almost invincible against the goblins and he kills all of those black goblins easy breezy. I usually ended with around 600,000 (plus you don't really have to pay any attention to it just send the dragon, other titans, unimportant throw away guys and hit march).